First, what the heck is a shared value experience? 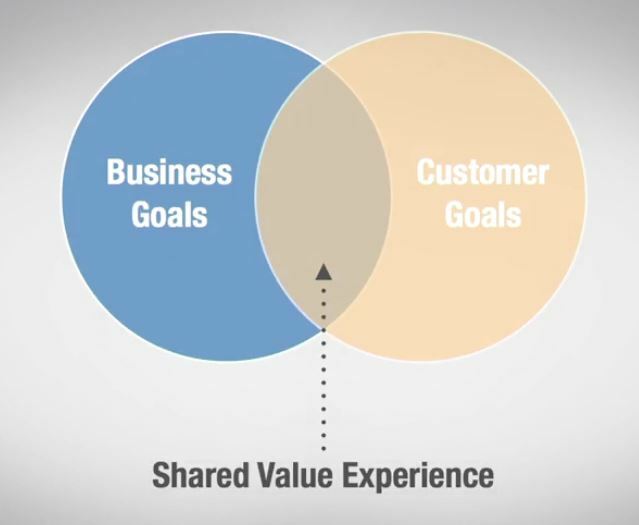 Well that is where your business goals overlap your customers goals. That is the place where you make your sales and make relationships with your customers. This is what a shared value experience looks like! Did you ever wonder why your sales are down or lower than you wanted? Well this explains that in spades. It’s very important to understand your business goals and how they hook up with your customers goals. Take my self defense weapons, the defenders, pdws.biz,… I know that my customers goals are self defense weapons that, 1) work, 2) easy to use, 3) goes anywhere with them, 4) safe around the family and children, 5) are non-lethal, and 6) are legal to carry. 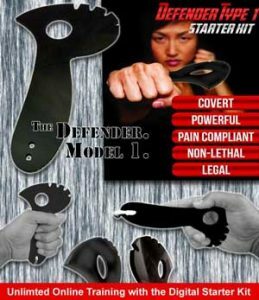 My business goals are to sell as many of my defenders to those people who need to, 1) defend themselves or their family, 2) want a legal weapon that can go anywhere with them. And as it would have it that aligns nicely with my customer goals. For any of you who have your own business you might want to stop and take stock of these two items: business goals and customer goals. you will increase your sales by doing so. I would also suggest you do some kind of customer survey or call some of your satisfied customers and get to know what there goals were for your product or service. I was recently criticized that my blog posts are boring so I’m sure that if you have your own company, making more money can’t be boring! Getting that “shared value experience” as large as possible would be and should be your next defined effort. Your business will thank you and it will add to the bottom line for sure.